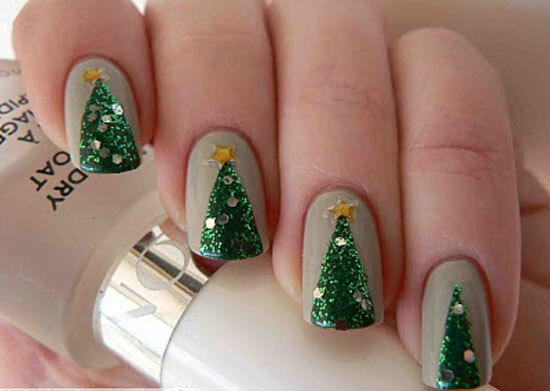 For Christmas, Zuri has compiled 20 quirky nail art designs for you to wear and flaunt at office or a house party. We are just about a day away from Christmas and I have got my nails done in bright red and green. After all, that’s the color of Christmas! I am planning to wear a nice warm green dress with an olive green overcoat. The hairstyle has been shortlisted. This time, I have chosen to wear my hair in a chignon and plan to wear a shiny little barrette as a hair accessory. Gorgeous black pumps and winged eyeliner. All this will look nice with my pretty pretty hands. This time of the year, besides taking special care of your skin, don’t forget to also keep your fingernails healthy and well-looked-after. Beautify them with a nail polish of your choice or during festive season, try out some gorgeous or cute nail art designs. For Christmas, Zuri has compiled some 20 quirky designs for you to wear and flaunt at office or a house party. While some of the designs are slightly complex, most of the others are simple and can be done at home. 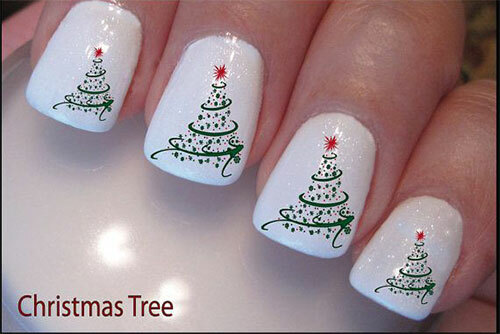 Capture what you enjoy the most during X’mas holidays or Christmas festival on your nails. Paint the winter wonders on them. Go quirky. Try out unique motifs, snowflakes, tree ornaments, Santa’s beard and festive lights. Oh! There is so much to choose from. The idea is to wear the holiday cheer and spread the warmth around. Try to add some glamorous eccentricity by combining various types of nail art packed in 1 design. Use polish, decals, and 3D elements like rhinestones together to add depth, novelty and dimension to your nails. Try to have different designs for each nail. Give your hands a chic look and go in for some variations. That can be fun! Create distinctions in color and pattern on each nail for a visual treat. For instance, a snowflake on one, a tree on the other, and so on. If you want the gel polish to be removed, Zuri recommends you go to the nearby parlor/salon. It needs to be professionally taken off. Removing it at home can damage your natural nails. A very handy tip- try not to keep your nail polish on for more than 20 days. It can dry out your nails, leaving them prone to damage. Remember, nail art is here to stay, so always think that ‘too much’ is ‘very little’! Christmas nails should speak of colors, laughter, snowflakes, reindeer’s and Christmas lights. Do tell us which favorite nail art design you are planning to sport tomorrow. Merry Christmas ladies!